Toutes les partitions de films pour orchestre. Maintenant que vous eu cette partition en accès libre, les artistes membres attendent un retour de votre part en échange de cet accès gratuit. Ne plus revoir cette fenêtre pour la durée de cette session. Ein feste Burg ist unser Gott (A mighty fortress is our God), BWV 80, is a church cantata by Johann Sebastian Bach. He composed the chorale cantata in Leipzig for Reformation Day, 31 October, first performed between 1727 and 1731. It is based on Martin Luther's hymn "Ein feste Burg ist unser Gott". Bach wrote the cantata in Leipzig for Reformation Day. The cantata's inception is largely unknown. It was probably composed in 1723 or between 1728 and 1731. 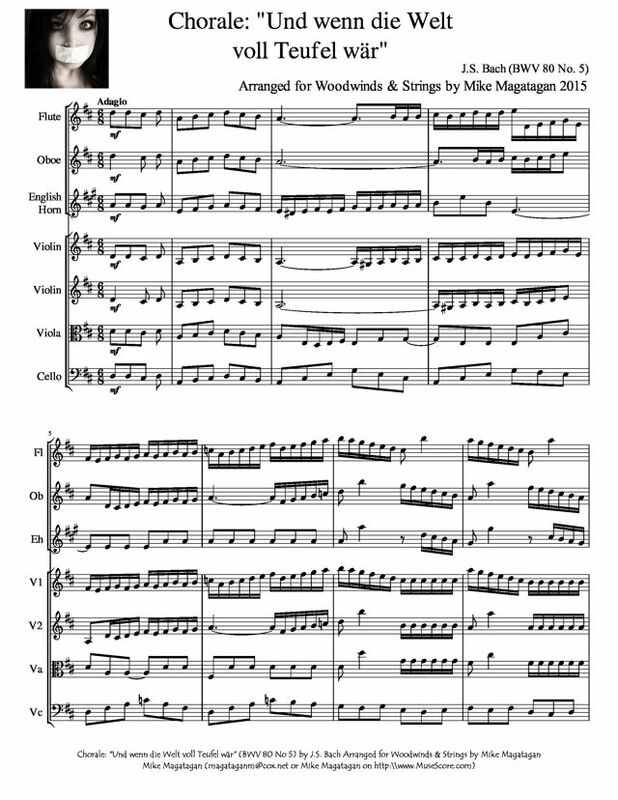 It is a simplified version of Ein feste Burg ist unser Gott, BWV 80b. 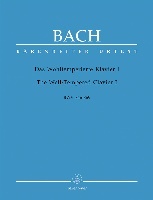 It is based on the earlier Alles, was von Gott geboren, BWV 80a – all the music for BWV 80a is lost, but it is known that it was based on a text by Salomo Franck (1659–1725) and produced in Weimar in 1715 or 1716. BWV 80 includes all four stanzas of Luther's chorale. This, the central chorale "Und wenn die Welt voll Teufel wär" (And if the world were full of the devil) presents the chorale theme in unison voices, an unusual practice for Bach. The melody is unadorned and in 6/8 time. The orchestral accompaniment becomes more agitated and complex as the movement progresses. 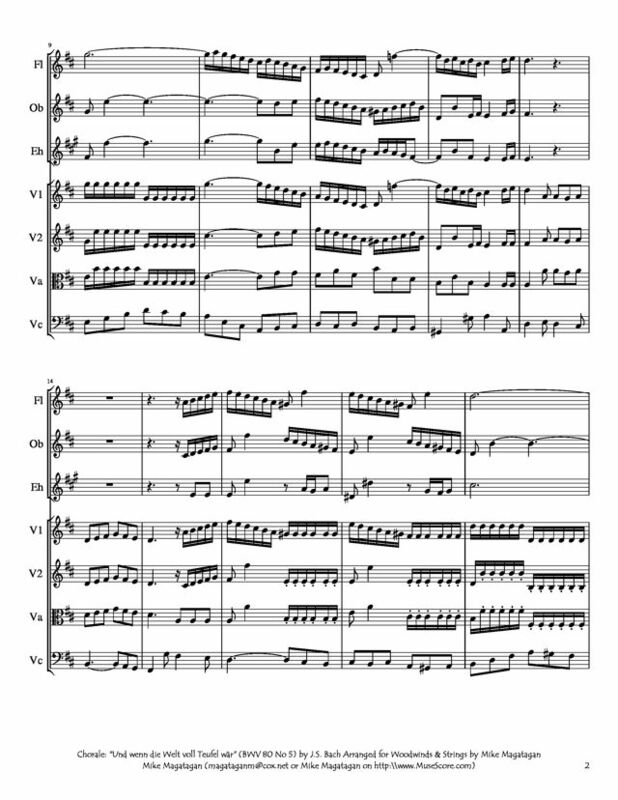 Although originally written for four vocal soloists (soprano, alto, tenor, and bass), a four-part choir, two oboes, two oboe d'amore, oboe da caccia, two violins, viola, violoncello and basso continuo, I created this arrangement for Woodwinds (Flute, Oboe & English Horn) and Strings (2 Violins, Viola & Cello). 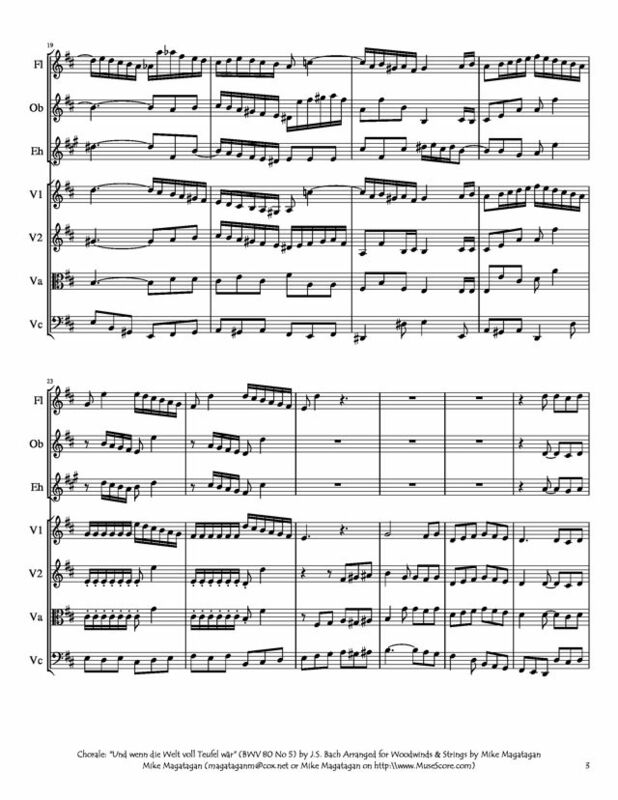 › "A Dieu Celle" for Woodwind Sextet - Sextuor à vent. 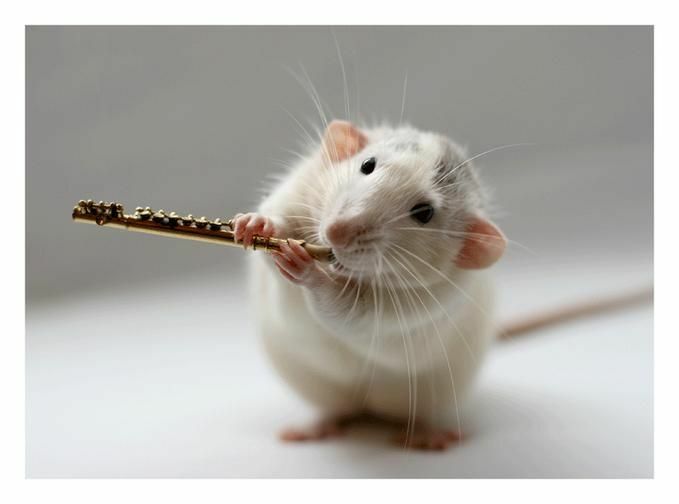 › "Auld Lang Syne" for Flute, Oboe & Strings"
› "But Who May Abide" For Wind Ensemble - Sextuor à vent. › "Morning Has Broken" for Woodwind Sextet - Sextuor à vent. › "Qui Sedes ad Dexteram Patris" from Kyrie for Woodwind Sextet - Sextuor à vent. › "Tota Pulchra" for Wind Sextet - Sextuor à vent. › Aria from "Easter Oratorio" for Woodwind Sextet - Sextuor à vent. › Aria: "Verstumme, Höllenheer" for Wind Ensemble - Sextuor à vent. 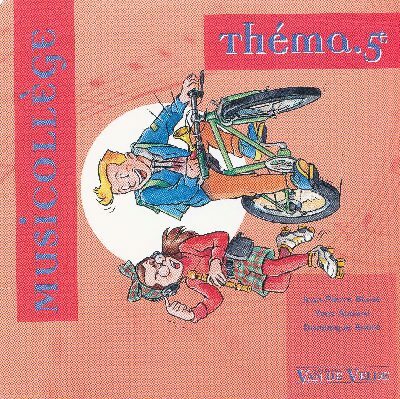 › Prome, Novas" for Wind Ensemble - Sextuor à vent.